As this series continues on exploring these paradoxes by Cicero, I endeavour to uncover and mine out the topics of each paradox. The next we come across is Paradox III – All the vices and all virtues are equal. As Rome’s best lawyer, Cicero knows what he is talking about. Let’s elaborate on this passage, the harm done to another judged by itself will only be considered a crime if the act was done intentionally or not. Do we call something done without malicious intent a crime? Are accidents a crime? No because to reiterate the intentionality of a crime is its measure. Reading this paradox it appears that, irrespective of the magnitude of the crime, the importance is focused on only the quality of the vice that ensues. The vice of guilt is the same for all crimes, Cicero argues. To reiterate, no matter what magnitude the crime is; guilt is guilt; vices include crimes and the varied types of misdeeds that reults from them. Vices and Virtues? Not one triumphs over the other! Here the focus is on the quality of the vices and virtues of one man and not a comparison with other men in their magnitudes. We can assign to someone the virtues of being brave or wise but not braver or wiser because the later are relative terms compared to something else. What if one were to possess a virtue and its opposing vice? How can the vice of parricide be equal to killing a slave? Cicero justifies equating parricide with the killing of a slave by employing moral relativism. One of Cicero’s most famous trials in his career was as the defendant of Sextus Roscius who was falsely accused of parricide, as reported in the work Pro Roscio Amerino in 80BC. I have mixed views on this paradox. If I were to argue for this, from a self-developmental perspective, I think viewing vices and virtues as equal would contribute in developing an equanimity on the outlook of things, it would be part of a self-improvement programme which would be in line with the goals of Zen philosophy; in keeping the mind still, making sure it does not lean, all for inner peace. Other than that I cannot salvage anything more from this! 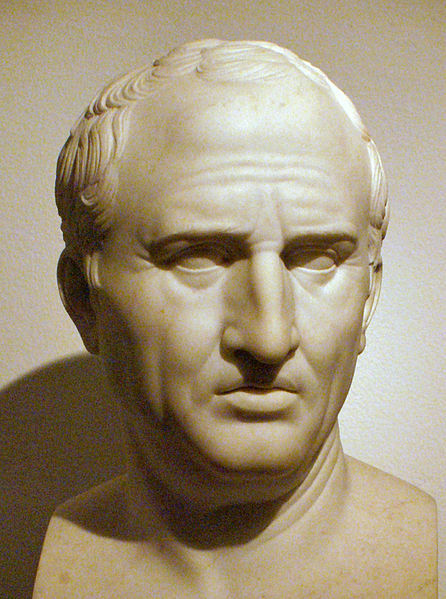 The ideas in this paradox, I doubt, were practised by Cicero in public life because he was a lawyer frequently involved in the law and order of the Roman state which evaluated crimes and judged them by the degrees of the misdeeds commited! Well, Cicero did say he wrote this for amusement and this paradox feels like a rushed notebook to be honest.